The phone will compete with the likes of Micromax Canvas Juice and Nokia Lumia 520. 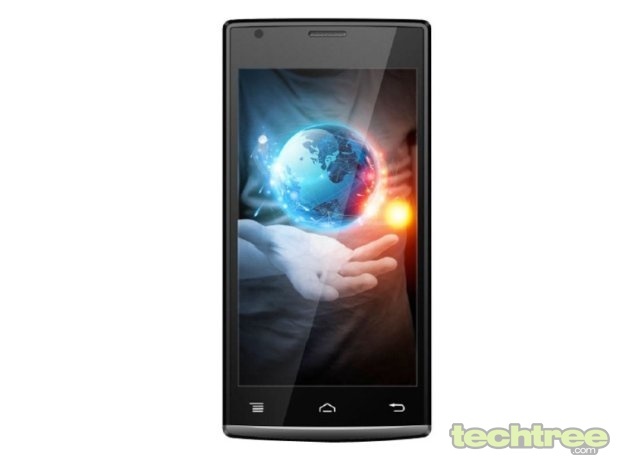 Lava that has rolled out a budget handset Iris 456 in the market. The phone sports a sensibly sized 4.5" IPS screen with 480x854 pixels. Inside is a 1.2 GHz dual-core processor along with 512 MB of RAM. We don't think that the amount of RAM is sufficient to run Android 4.2 (Jelly Bean) smoothly, but still much better than the good for nothing Android phones with 256 MB RAM. As you'd expect from a domestic manufacturer, the handset offers dual-SIM functionality. Moving onto its optics, the phone features a 5 megapixel camera coupled with an LED flash. Apart from that, you get a 1.3 MP front-facing camera for selfies, 4 GB internal storage, microSD card slot, Wi-Fi, 3G, Bluetooth, A-GPS, and 1650 mAh battery. 4.5" IPS screen with pixel dimensions of 480x854. 1.2 GHz dual-core processor, 512 MB of RAM. 5 megapixel camera with LED flash. 4 GB internal storage, MicroSD card slot. 3G, Wi-Fi, Bluetooth, and A-GPS.